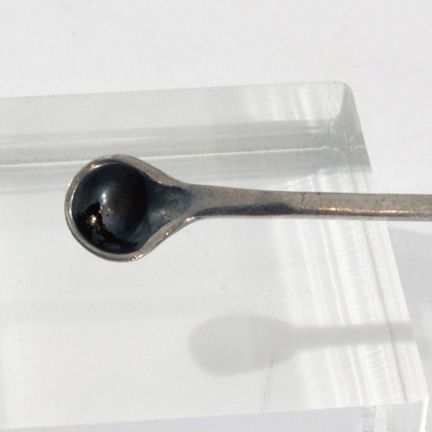 This prop “cocaine spoon” was used by the character “Elvira Hancock” portrayed by actress Michelle Pfeiffer in the 1983 motion picture “Scarface” starring Al Pacino. 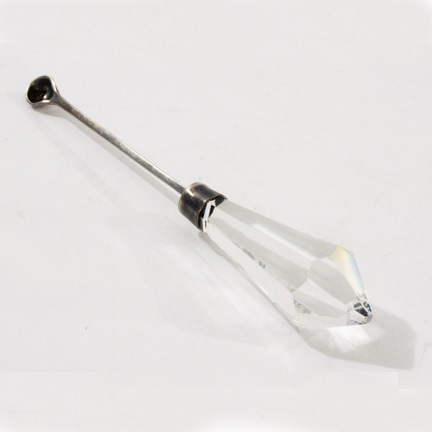 The item is constructed of a cut glass/crystal handle with silver spoon attached. 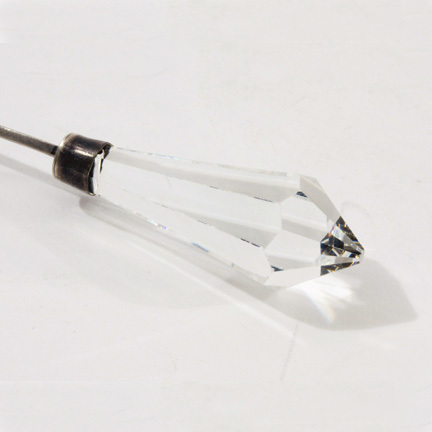 The actress used this item onscreen during part of the montage sequence featuring one of the film’s signature soundtrack songs “Push It To The Limit” by Paul Engmann. 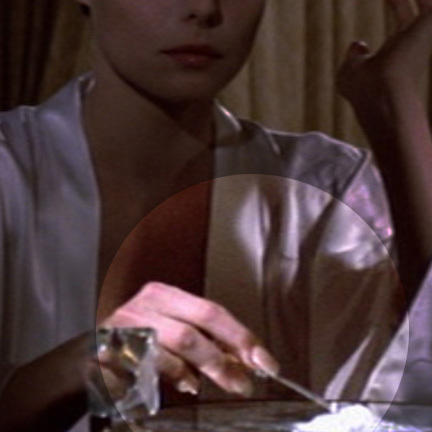 As the song plays, numerous scenes showing the rise to power of Tony Montana (Al Pacino) are depicted, including several shots of Elvira at her dressing table drinking and using this specific prop coke spoon to do her drugs. 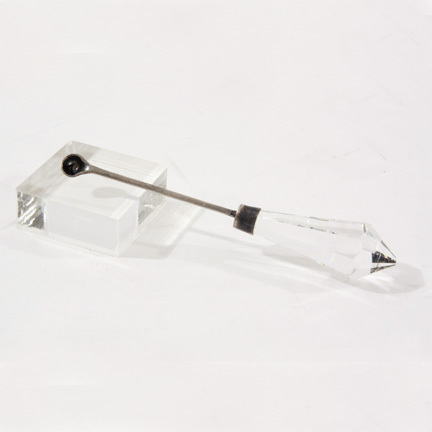 This is the only one of these props used on the production and the only coke spoon of its type used by the actress during filming, making at a rare iconic collectible from one of the film’s principle characters. Brian De Palma’s gangster epic “Scarface” was a remake of the classic 1932 film starring Paul Muni, George Raft, and Boris Karloff. The screenplay was written by Oliver Stone and the film was nominated for three Golden Globes in 1984 including Best Actor (Al Pacino), Best Supporting Actor (Stephen Bauer), and Best Original Score (Giorgio Moroder). 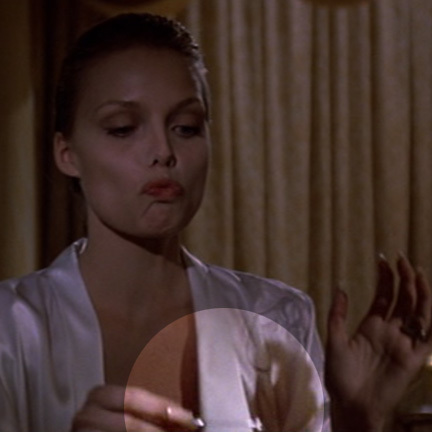 The film proved to be a breakout performance for Michelle Pfeiffer, and its ongoing popularity with fans has defined it as one of the greatest gangster films of all time. 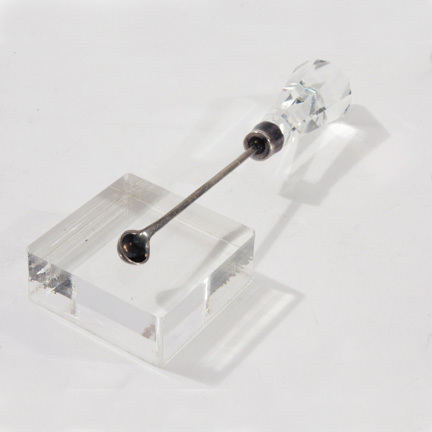 The item is in very good condition with some minor patina due to age and is accompanied by a letter of authenticity from one of the property masters who retained the item in his personal possession after filming had been completed.